Rajasthan Royals lost the match by 11 runs with highest score of 65* from skipper Rahane. The 28th match of IPL 2018 witnessed Rajasthan Royals locking horns with the Sunrisers Hyderabad in Jaipur, where the latter put on another bowling exhibition to secure a comfortable 11 run victory. After winning the toss, SRH skipper Kane Williamson elected to bat first. Having lost Shikhar Dhawan for just 6, Hyderabad rode on Alex Hales and Williamson’s 92-run partnership to post a total of 151/7 on the board. 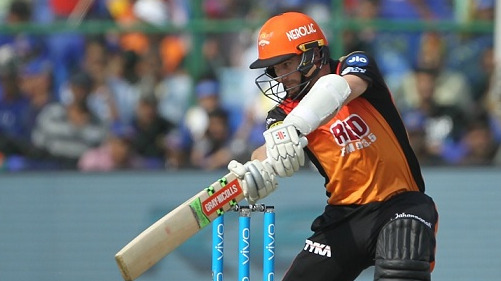 Playing his maiden IPL match, Hales scored a steady 39-ball 45 whereas the SRH captain made a stunning 63 off 43 balls. Jofra Archer and Krishnappa Gowtham were the picks of the bowlers for Royals as the duo scalped 5 wickets between them by conceding only 44 runs in 8 overs. 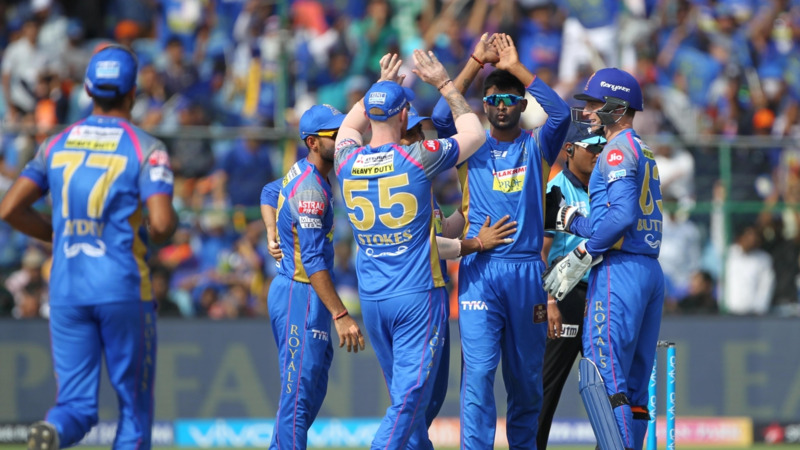 While Archer (3 for 26) recorded his second consecutive 3-fer in IPL 2018, Gowtham claimed 2 for 18 in his quota of 4 overs. In reply, Rajasthan didn’t experience the best of starts as Sandeep Sharma knocked over Rahul Tripathi for a mere 4 runs. The counter-attacking 59 run stand for the second wicket between Ajinkya Rahane and Sanju Samson (40 runs off 30 balls) kept RR in the chase. But soon after Samson’s dismissal, Royals’ batting line-up fell apart like the pack of cards. They lost Ben Stokes (0 off 3 balls) and Jos Buttler (10 off 11 balls) in quick session while Rahane remained firm at the other end. For the Sunrisers Hyderabad – Siddarth Kaul picked up 2 for 23 while Sandeep, Thampi, Rashid, and Yusuf claimed wicket apiece. Despite Rahane’s 53-ball 65*, RR managed to score only 140/6 in their 20 overs. With this win, SRH has once again become the table-toppers of IPL 2018. The Hyderabad-based franchise now has 12 points from 8 games. Yet again @SunRisers have done it.